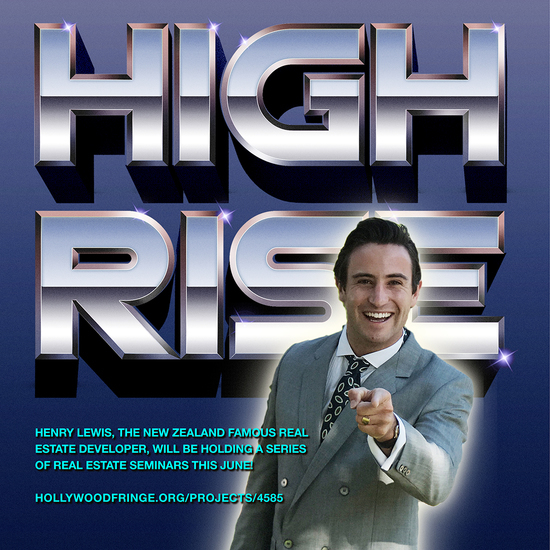 High Rise is a New Zealand (true) story with global themes and messages, and extremely physical and incorporates elements of mask, mime, Commedia dell’arte, Buffon and physical forms of theatre. It should leave myself, and the audience, feeling short of breath by the end of its short, but sweet 25 minute running time. The story is about greed, the snowball effects of success, and ambition. In our current global climate, I couldn’t think of a more appropriate story to tell. I don’t think it has an agenda, but history keeps repeating itself, and we keep making the same mistakes. Will we ever learn?? So I’ve put my questions into theatre.